It’s time to ask the question: Do the Huskies have their next Don James in Chris Petersen? Whatever the process was to get the UW culture to this point, to a second consecutive season of great anticipation, well Petersen isn’t going to talk about such things in detail. Don’t talk about it; be about it is a favorite philosophy of his. The words tend to be used so much, by so many, that they have largely become hollow. Chris Petersen knows this, so he stopped himself midsentence when talking about the state of his football program at the University of Washington. “I think this: I think that the process is — I hate saying ‘culture’ and I hate saying ‘process.’ I can’t stand talking about that,” he said in a recent interview with The Seattle Times. The Huskies open the season in the top-10, but are they still underrated? 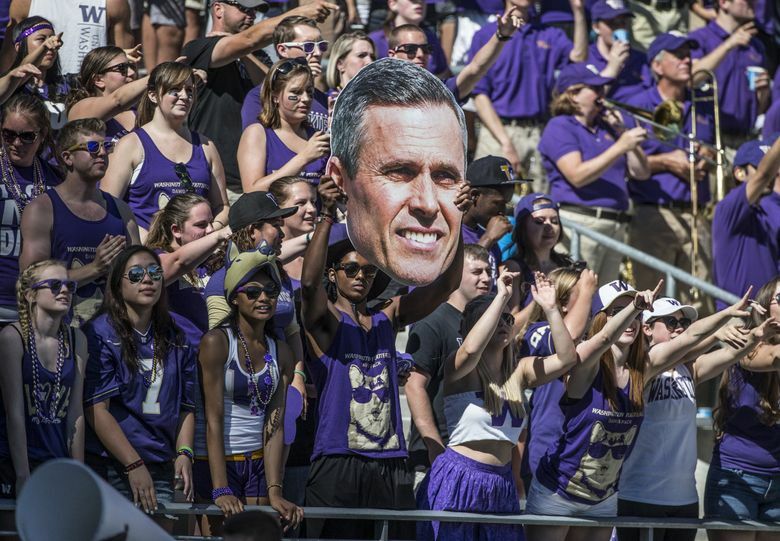 It's time to ask: Does UW have its next Don James in Chris Petersen? Bowl projections: UW or USC to the College Football Playoff? Whatever the process was to get the Washington culture to this point, to a second consecutive season of great anticipation, well, for one, Petersen isn’t going to talk about such things in detail. Don’t talk about it; be about it is a favorite philosophy of his. And, two, it’s clear he doesn’t want to sound cliché when he does speak generically about how he got the Huskies back to this point, to a second consecutive season ranked in the nation’s top 10. “Our kids know how it’s supposed to go. That flow seems much better,” he said. In Petersen’s third season at UW, the Huskies found themselves once again among the nation’s elite, winning the program’s first outright Pac-12 championship since 1991 and playing in the program’s first College Football Playoff game last season. Question is: Can the Huskies stay there? Can Petersen keep the program competing for conference championships, and more, the way Don James did throughout the 1980s and early ’90s? After last season, Petersen signed a new seven-year contract extension, and many in and around the program have noted how much more comfortable the coach seems to be entering his fourth season on Montlake. Petersen, entering his 12th season overall as a head coach, is just 52 years old and still in the prime of a coaching career that will likely land him, like James, in the College Football Hall of Fame. Many expect UW to be his last coaching job. He might be more comfortable in Seattle, but Petersen is hardly content. He is the ultimate perfectionist, and if anything, he’s demanding more — more from his players, from his coaches and everyone around the program. “We’re under no illusions: As hard as it was to get there, it’s way harder to stay there,” he said. “It’s a complete different skill set to get there than it is to stay there. A coach has to say those things to his team. Petersen, in particular, is trying to guard against a feeling among his player that they’ve “arrived.” That sort of thinking, he fears, could lead to regression. 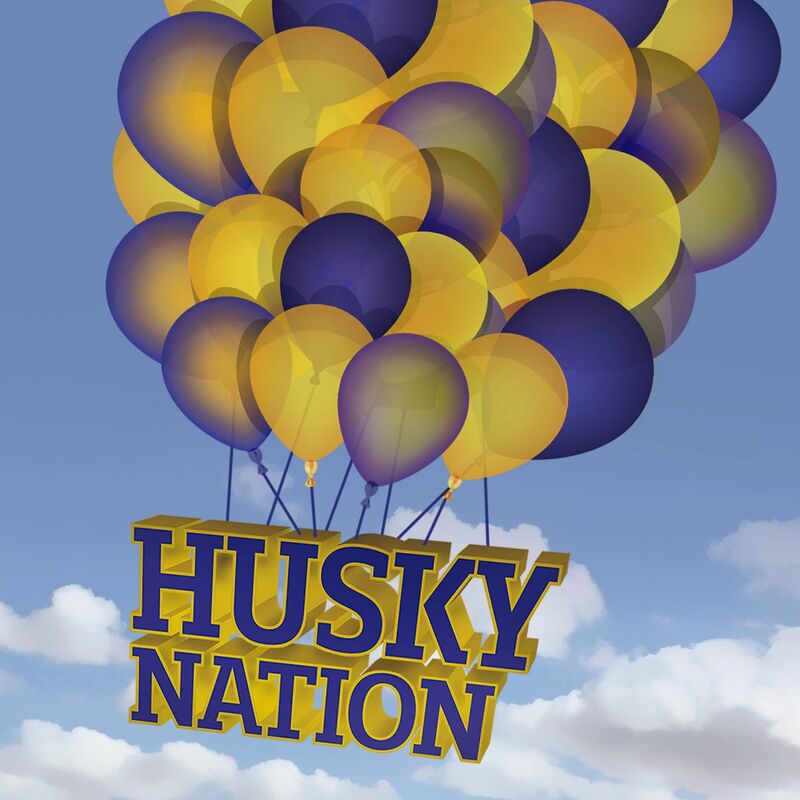 For many long-suffering Husky fans, however, there is a rediscovered feeling of pride, of hope, in the program again. “Everywhere we go with him, in particular, the place is packed,” UW athletic director Jennifer Cohen said earlier this summer. “And the key for all this is, I think for the first time in a long time Husky fans know that this is a sustainable model he’s building. We’ve had moments since Coach James left to now, where we’ve had some really cool moments for Husky football. But they never felt like they were sustainable. Petersen is quick to dismiss most of the lingering effects of the success of last year. This, he has repeatedly said, is a new year and a new team. And, yet, this roster has just about everything and everyone it needs to win — and win big — once again. The talent the Huskies return is the greatest they’ve had since Marques Tuiasosopo’s senior season in 2000, when UW made its last Rose Bowl appearance. The team is built to win now. Junior quarterback Jake Browning is one of eight regular offensive starters returning, and early indications are the defense won’t suffer much, if any, drop-off from its two previous seasons of dominance. Luck, Petersen said, is an unpredictable factor in all of this. The Huskies, he said, had their share of it last year when they led the nation in turnovers and were able to stay (relatively) healthy. But there’s more than that, of course. There’s more than cliché buzzwords, too.